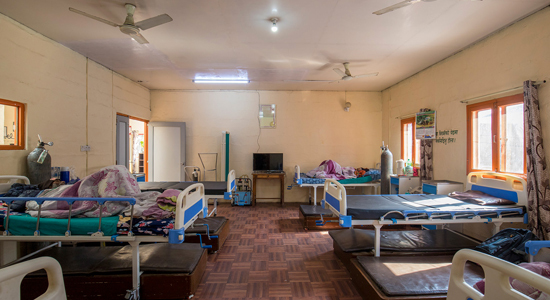 We have an eight bedded inpatient unit in Lagankhel, five minutes walk from Patan Hospital. 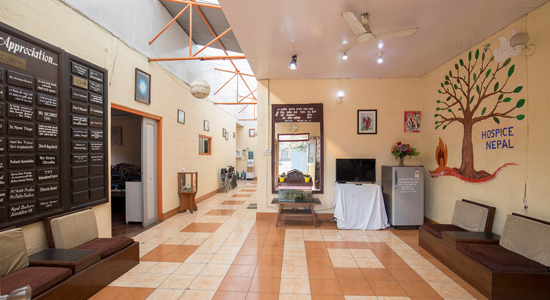 It includes a six bedded General Ward and two private rooms with attached bath. There are 24 hours nursing care with physician visit once a day. We provide holistic care for patients who are at a difficult part of their journey, taking into consideration physical, psychosocial and spiritual aspects and provide support for the family. Medications are available for pain control including syringe drivers. We are able to discharge more than fifty percent of patients home after symptom control. Many returns for end of life care. We felt that there were many patients who prefer to be cared at home or patients who come to Hospice and return home after an improvement in their symptoms who would like to stay at home as far as possible. So in 2005, we started consultative home care services. 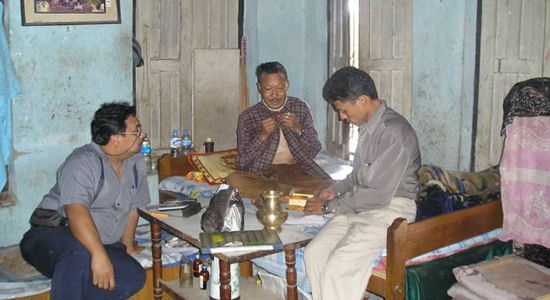 One of our nurses visits patients within Kathmandu Valley periodically. We have been providing home care for 200 patients every year.